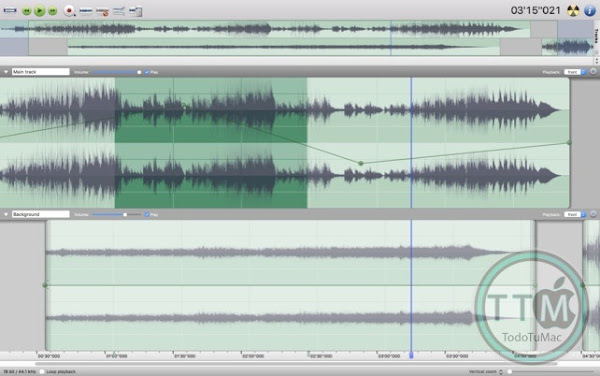 • Tracks can be split into multiple clips for easy placement. 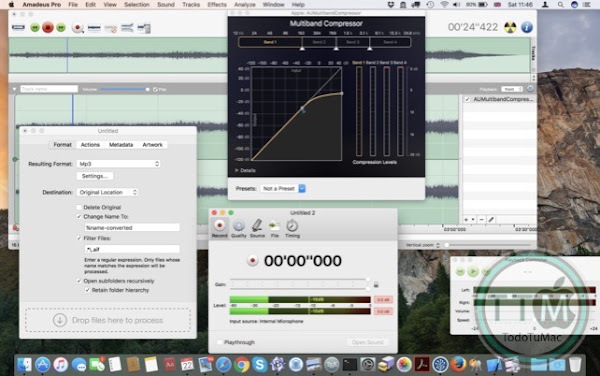 • Audio Units can be applied to tracks non-destructively in real-time. 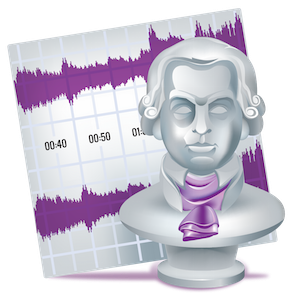 • Direct recording from internet streams. 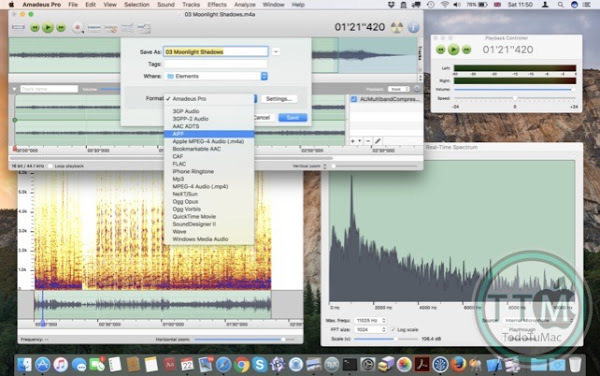 • A full range of real-time and offline sound analysis tools. • Reads AD-PCM compressed Wave files.